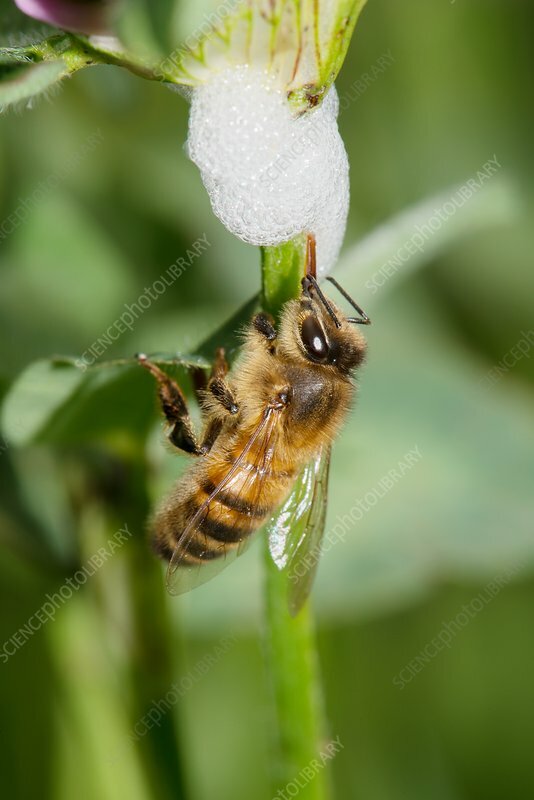 Honey bee (Apis mellifera) collecting moisture and nutrients from cuckoo-spit. Cuckoo-spit consists of frothed plant sap, produced by the nymph stage of the froghopper (superfamily Cercopoidea), a jumping insect. The froth protects the nymphs from predators, prevents them from drying out, and insulates them against temperature changes. Photographed in the UK.